From now on the Far East will be connected to Greater Russia not only by a network of railways, but also by a network of highways (construction completed recently) and by powerful energy lines (gas and electric lines). During the first stage of constructing “Power of Siberia”, the “Yakutia-Khabarovsk-Vladivostok” branch will be constructed, during the second stage the “Power of Siberia” will be connected to the Irkutsk center for gas separation and gas processing, based on the premises of one of the largest chemical plants. The total length of the gas pipeline will be about 4000km (Yakutia-Khabarovsk-Vladivostok – about 3200km; the Irkutsk region-Yakutia – about 800km), total capacity equals 61 billion cubic meters (bcm) of gas per annum. 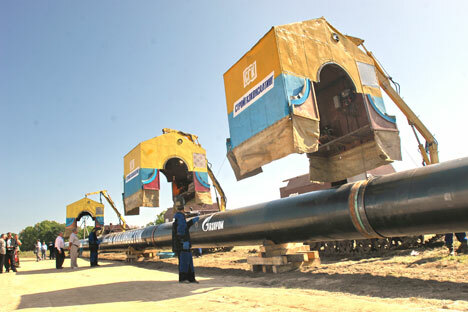 The GTS route of “Power of Siberia” will be constructed along the highway of the ESPO pipeline. This will permit to minimize infrastructure and energy costs. The resource base of the project will be the Chayandinskoye field. 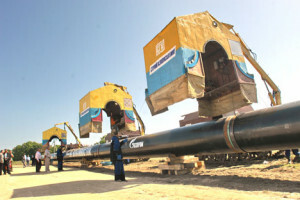 The export branch of the “Power of Siberia” pipeline will depart for China in the area of ​​Blagoveshchensk. From Blagoveshchensk the branch connecting “Power of Siberia” with the Sakhalin-Vladivostok GTS will pass through Birobidzhan. A high-power LNG plant is planned to be built near Vladivostok. The first line with a capacity of 5 million tons per year should enter into operation in 2018, and the total design capacity of the plant will be 15 million tons per year. Liquefied natural gas (LNG) has a number of potential advantages, especially in terms of export to countries where gas pipelines, for one reason or another, cannot be extended. For instance, Japan meets its demand for natural gas almost entirely due to LNG (97%). The country receives LNG from producers in the Pacific region (Australia, Brunei, Indonesia and Malaysia) and also from the Middle East (Oman, Qatar and the UAE). The second largest importer of LNG in East Asia and the third country in terms of terminal capacity is South Korea. Major suppliers include Qatar, Indonesia, Malaysia and Oman. India could also become a potential consumer, there are two terminals in the country: Dahej (capacity – 9 billion cubic meters per year, Petronet) and Hazira (capacity – 4 billion cubic meters per year, Total/Shell). Taiwan also imports LNG and in 2005 the island nation concluded a 25-year contract with the Qatari based project RasGas 2 (3 million tons per year). Recently Thailand has also started to import LNG. In the near future, several other countries in the Asia-Pacific region could start to import LNG including New Zealand, the Philippines and Singapore among others. According to the International Energy Agency, demand for natural gas by 2035 will grow by 48%, which would put it in second place after crude oil in the global energy market. The LNG sector could become a major direction for world trade in the gas production sphere. A confirmation of this statement is the volume of gas trading, which during the past 10 years has increased by 45%; LNG trade has more than doubled. Shell Corporation predicts an increase in the share of LNG from 10% today to 15% of global gas supply by 2030. Transportation of liquefied gas is beginning to compete with gas pipelines at distances of more than 2500km. This will allow to expand the geography of LNG. At present the only existing LNG plant in Russia is Sakhalin-2 with a total capacity of 9.6 million tons per year. In various stages of implementation are several large-scale projects such as Vladivostok LNG, Baltic LNG, Yamal LNG, Pechora LNG and several others. However, before 2019 the new volumes of LNG from Russia will not appear on the world market. In the short term the most important plant is Vladivostok LNG, as well as the ROSNEFT project where the total LNG volume has already been contracted. - the negative attitude of a large part of the population to nuclear power plants. The largest LNG exporting countries are: Qatar – 49bcm, Malaysia – 30bcm, Indonesia – 26bcm, Australia – 24bcm, Algeria – 21bcm, Trinidad and Tobago – 20bcm. The main importers of LNG are: Japan – 86bcm, South Korea – 35bcm, Spain – 28bcm, France – 16bcm , USA – 15bcm, India – 13bcm and China which has had gas pipelines joined from Turkmenistan, Kazakhstan and Uzbekistan. As a result of concluding the recent pipeline contract with China, Russia reduces its dependence on gas supplies to Europe. On the other hand, the enhancement of diversification of gas production in the LNG direction allows Russia to open up new energy markets and thus to further increase the stability of the country’s economy. Such things are not done instantly, and they can in no way be counted out. Gazprom’s strategy should be acknowledged as being the most effective. Plans are not going to end with the eastward direction leading to China alone which accounts for an enormous market capacity; however, it is still only one country. Gazprom is planning the development of another branch in Primorsky Krai, in the direction of the sea in order to ensure sufficient resources for LNG production capacity. In the long term this implies the delivery of LNG to Japan, South Korea, Taiwan, India and other countries.